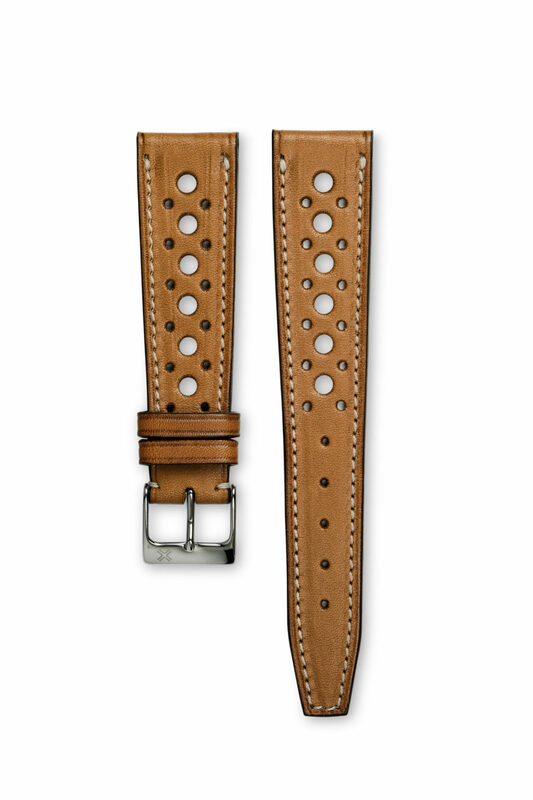 Also available in tone-on-tone stitching to give a more classic look to this great strap. 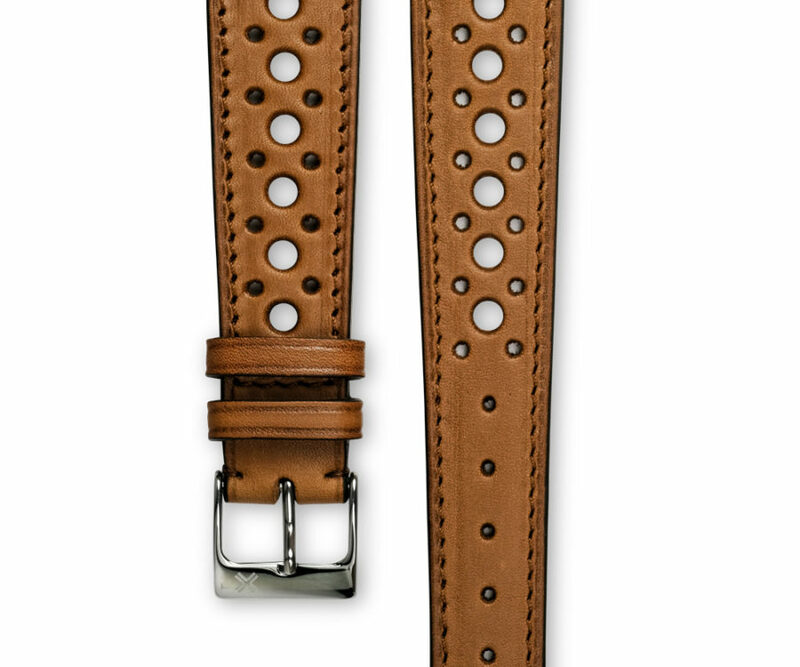 This Rally Tan color version is definitely giving your watch a historic car pilot style and make your watch really sporty. 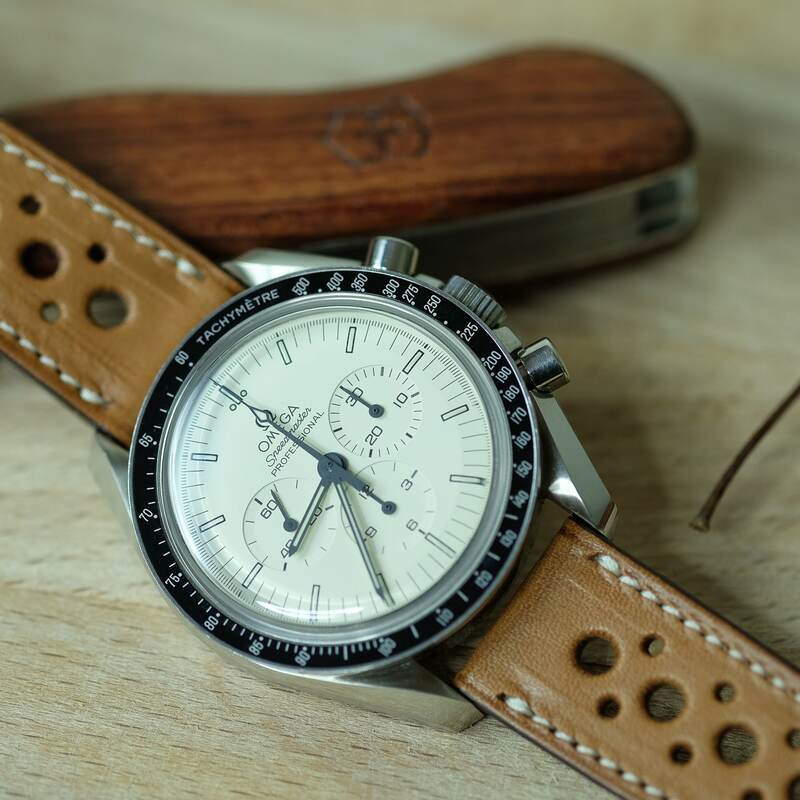 It works very well on a cream or champagne color dial but can also enhance a darker dial making a greatly contrasted combo. 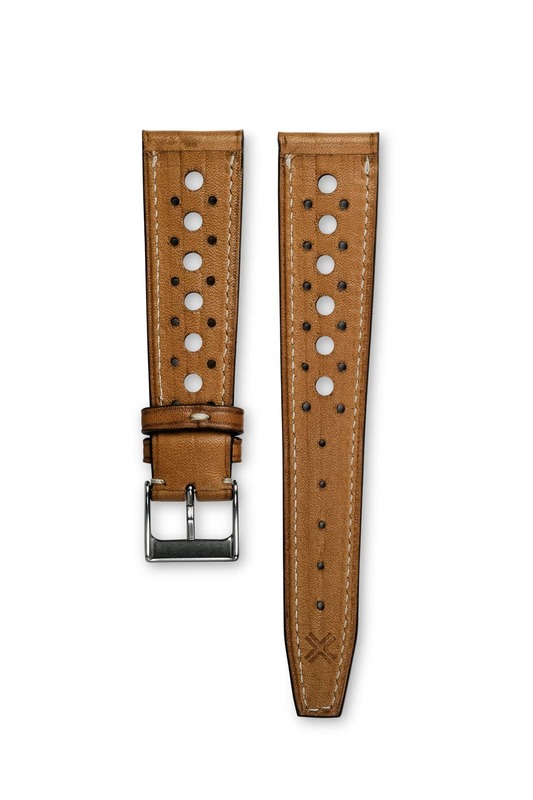 Discover the same model of watch strap with a tone on tone stitching. 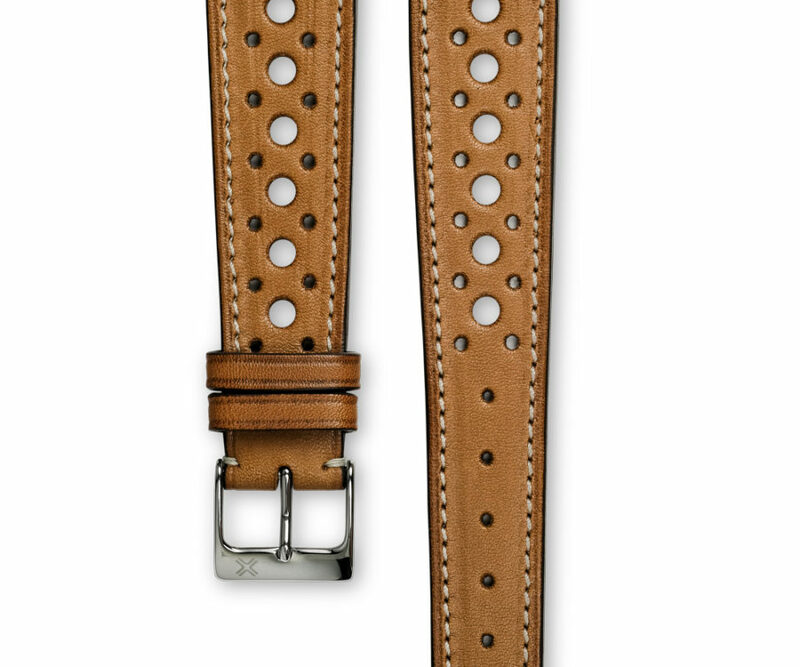 This will give a more classic look to this great strap !